Question: Mark, I have a general contractor payment question. My husband and I believe the general contractor should be supplying itemized receipts for any work performed by his sub-contractors for which we are ultimately responsible to pay. Also, we believe the general contractor should provide itemized receipts to us for which there is an allotment amount set aside for items such as concrete. For example, there was a $14,000 allotment for concrete in regards to pouring the foundation, however there was no invoice provided to us from the foundation sub-contractor showing his real costs. We simply had to pay the general contractor after the foundation was poured per the allotment of money set aside for this work. 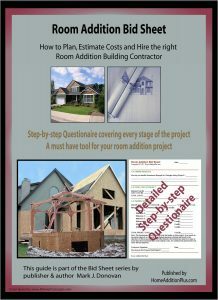 Is it customary for the homeowner not to receive a receipt or breakdown of the costs whether the sub-contractor costs are more or less than what the general contractor stated in his contract price for building the home? And if the general contractor miscalculated an expense for a service and/or materials included in the contract and contract price, can he now pass along that financial error on his part to us? Any insight into these questions or general contractor payment practices would be appreciated. Answer: N.U., if the contract is between you and the general contractor where you make incremental payments to him upon work being completed, and upon meeting yours and/or the building inspector’s approval, then it is understandable that he doesn’t want to show you the subcontractor receipts. The reason for this is that you’ll quickly see how much he is making on his “general contractor” services and you may very well become disgruntled. 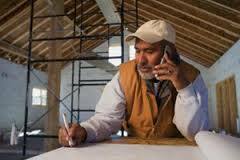 This is a very common general contractor payment practice. His payment schedule should be based upon certain milestones being complete in the construction, many of which should be tied to building inspector inspections. In regards to cost overruns, it depends how the contract is worded and if change orders happen during the construction. If however the contract is on schedule and being built per the plans, and he tries to charge you more, than you should certainly push back. In this situation he should indeed show you the receipts from the subcontractor(s) to show that he did pay more than he budgeted for. If the receipts show a higher cost than what he budgeted for, and he included these cost estimates in his original contract proposal, then the two of you can hopefully come to some terms on who should pay. If it is simply his error, then theoretically he should pay but often he will push for you to pay instead. If you refuse to, or can’t meet somewhere in the middle, most likely you’ll pay later on in some way or form. My advice here is to look for compromise. If the cost overruns are higher due to change orders caused by you the homeowner, then you should expect to pay for the added costs. Again the general contractor’s contract proposal should include language in it that discusses how building change orders are handled between the contractor and the homeowner. This way there is no doubt from the start of the project on who is responsible for paying for them. Usually it is the homeowner who pays for them, as it is normally the homeowner that initiates a building change order. And keep in mind, construction changes cost dearly. They can add 2 to 3 times the cost to a task for what it originally cost.